Gobbledygeek episode 96, “Talking Turkey: Ernest Cline,” is available for listening or download right here. 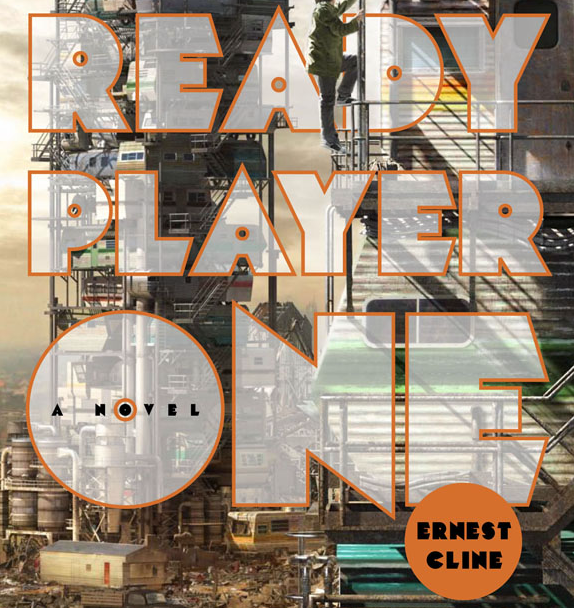 This week, Paul and AJ are honored to sit down with Ernie Cline, author of the New York Times bestselling science fiction novel Ready Player One, which arrives in paperback on June 5. The three of them have a pretty epic geek-out session. Oh, they talk about the book, too. Ernie discusses his inspiration for writing Ready Player One, what the future holds for the film adaptation, his brutal experience writing the movie Fanboys, and the many virtues of the Alamo Drafthouse. Ernie also mentions how much The Avengers rocked his world, so after the interview, Paul and AJ obsess some more over the movie, its nooks, and its crannies (hint: mirrors!). Next: The boys get in the Memorial Day spirit by talking about their favorite war movies. They love the smell of napalm in the morning. This entry was posted in Shameless Self-Promotion and tagged alamo drafthouse, books, ernest cline, ernie cline, fanboys, film, gobbledygeek, interview, libsyn, literature, movies, new york times, podcast, ready player one, sci-fi, science fiction, the avengers. Bookmark the permalink. Great episode! Looks like Ready player One will be the 4 fictional book I read on my ereader after finishing Neuromancer (again) Count Zero and Mona Lisa Override. I also love the Conan music! Great combat music to turn on for d&d!